El Bonillo solar plant, Albacete. 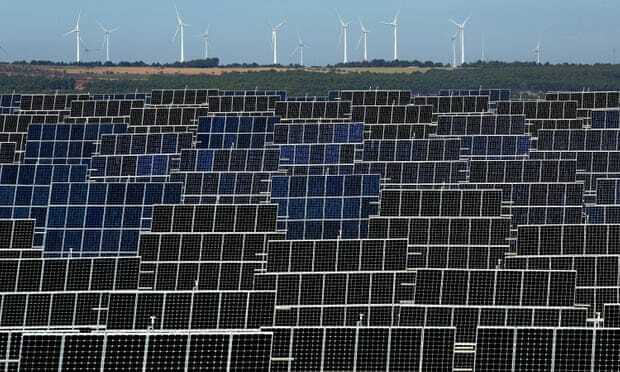 The Spanish government aims to install at least 3,000 MW of wind and solar power capacity yearly in the next decade. MADRID - Spain has launched an ambitious plan to switch its electricity system entirely to renewable sources by 2050 and completely decarbonise its economy soon after. Christiana Figueres, a former executive secretary of the UN’s framework convention on climate change (UNFCCC), hailed the draft Spanish law as “an excellent example of the Paris agreement”. She added: “It sets a long-term goal, provides incentives on scaling up emissions technologies and cares about a good transition for the workforce.